The driver is really friendly, he help me a lot during my trip, he even gave me cold water and tissue because the weather was so hot. Because it’s a private tour so you can make your own plan. However, it’s hard to find somewhere to eat during the trip. Discover the best of Khao Yai the way you want it with a multiple day customizable tour from Bangkok! Have your own private vehicle under the command of a friendly and experienced driver taking you to the attractions that you have chosen. 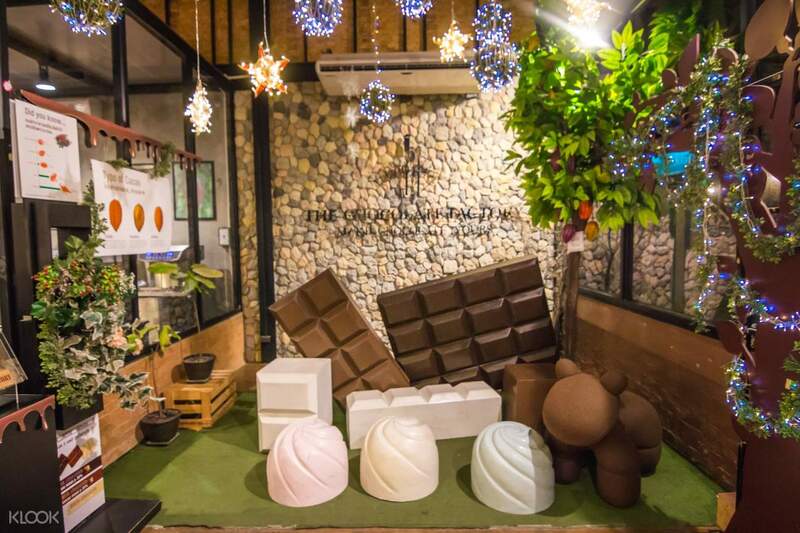 Get the chance to visit Khao Yai’s top destinations such as the Primo Piazza, Chocolate Factory, Haew Narok Waterfall, and many more! 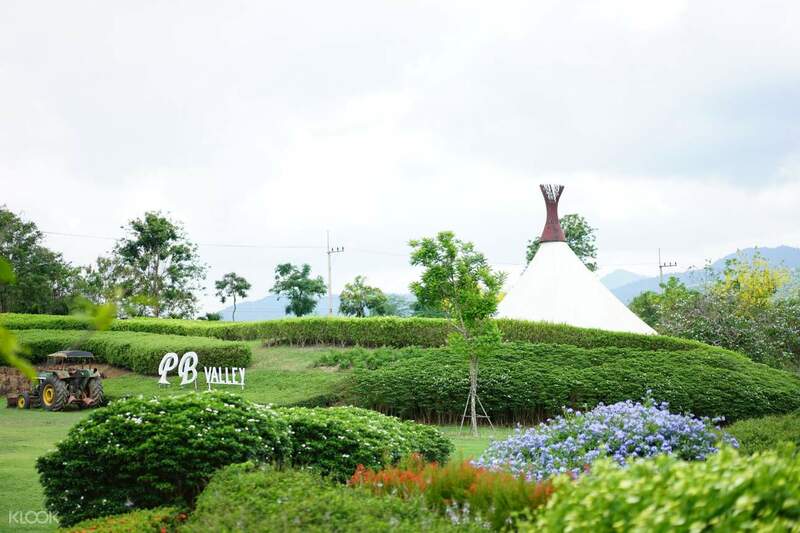 Make a stop over to one of Thailand’s finest wineries for lunch and get a taste of PB Valley Winery’s exquisite wines. 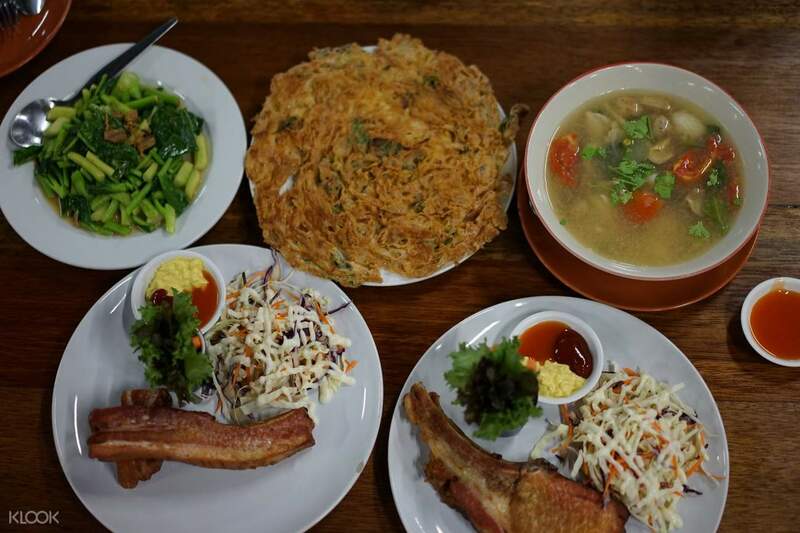 Don’t miss the opportunity to try out some local delicacies in popular Thai restaurants along the way. 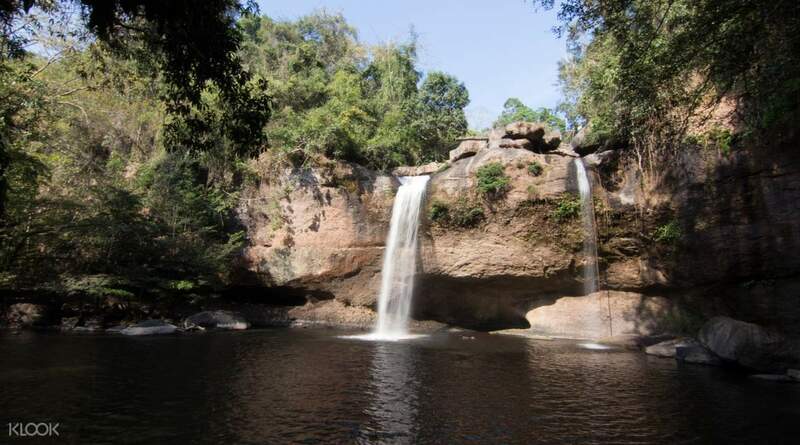 Embark on an exciting 1, 2, 3, 4 or even, 5 day adventure in the beautiful Khao Yai. We use LINE apps to communicate with driver because he know a little english. He was a good driver and punctual. Overall, we satisfied with his excellence service. Thanks KLOOK because hire him to drive us to Khaoyai. We use LINE apps to communicate with driver because he know a little english. He was a good driver and punctual. Overall, we satisfied with his excellence service. Thanks KLOOK because hire him to drive us to Khaoyai. A great private trip and appreciate that I have a very good driver Mr.Kaka. A lot of beautiful places to share.The Sunflower fields is so magnificent.The most magical thing is he brought me to a vegan restourant with beautiful river garden call Loving Hut.And,the most fun is to visit The prehistoric rock painting which only 10 minutes drive from the Hobbits House. l feel it is not enough for 2 days to explore Khao Yai. A great private trip and appreciate that I have a very good driver Mr.Kaka. A lot of beautiful places to share.The Sunflower fields is so magnificent.The most magical thing is he brought me to a vegan restourant with beautiful river garden call Loving Hut.And,the most fun is to visit The prehistoric rock painting which only 10 minutes drive from the Hobbits House. l feel it is not enough for 2 days to explore Khao Yai. Overall, a pleasant 3D2N trip for us to Khao Yai. Our driver, Mr. Moo always arrived earlier then our daily pick up time. He helped to review our plan a day before and always make sure we reached our destination on time. No issue in getting tour tickets as I already purchased then online before my trip. Thanks for a pleasant and safe trip. Overall, a pleasant 3D2N trip for us to Khao Yai. Our driver, Mr. Moo always arrived earlier then our daily pick up time. He helped to review our plan a day before and always make sure we reached our destination on time. No issue in getting tour tickets as I already purchased then online before my trip. Thanks for a pleasant and safe trip. i applaud klook for partnering with AK travel for this custom tour. the booking agent Peggy was prompt and patient in her responses to my multiple changes of my 4 day itinerary. even helping us to book the winery tour at PB valley! 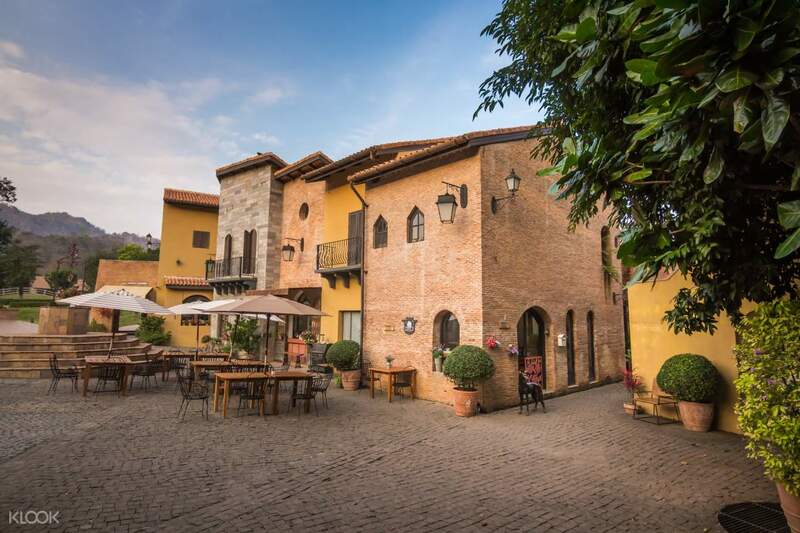 we were very pleased with the tourist sites which we selected from klook's recommended list. the recommended restaurants were great. driver Prawit knew a little english n was v helpful n prompt. i applaud klook for partnering with AK travel for this custom tour. the booking agent Peggy was prompt and patient in her responses to my multiple changes of my 4 day itinerary. even helping us to book the winery tour at PB valley! we were very pleased with the tourist sites which we selected from klook's recommended list. the recommended restaurants were great. driver Prawit knew a little english n was v helpful n prompt. Our driver, Ben, was waiting for us at the airport together with another staff who I assumed was from the local company in Bangkok. His English is quite good and he was really friendly and considerate throughout our trip. He even stopped at one point to help adjust the front passenger seat for one of us when he saw us nodding off sideways😅 He recommended a few other places of interests for us to visit and helped us communicate with the local restaurant owners when we were looking for a halal place to eat in Khao Yai. He also helped plan our second day according to the most convenient route so that we won't waste too much time. Do take note of the closing hours of the attractions though as many close early! Our driver, Ben, was waiting for us at the airport together with another staff who I assumed was from the local company in Bangkok. His English is quite good and he was really friendly and considerate throughout our trip. He even stopped at one point to help adjust the front passenger seat for one of us when he saw us nodding off sideways😅 He recommended a few other places of interests for us to visit and helped us communicate with the local restaurant owners when we were looking for a halal place to eat in Khao Yai. He also helped plan our second day according to the most convenient route so that we won't waste too much time. Do take note of the closing hours of the attractions though as many close early! The trip was smooth and pleasant. Our driver is Rex, young energetic guy. He can speak bit of english and he can understand simple commands. He is flexible and reliable guy in term of planning. We change the schedule time to time and he cooperate well as well. He ensure we enter the entrance before return to car to wait for us. All the places is really superb. Maybe can ignore the bloom by Tv pool place as it is not worth and really run down, please ignore if can. The journey was smooth and on time. Even its not sunflower blooming season, our driver did make effort to find any place if got. There is no season of course but effort counts here. Thank you so much to our driver to bring us safely and drop back to bangkok. The trip was smooth and pleasant. Our driver is Rex, young energetic guy. He can speak bit of english and he can understand simple commands. He is flexible and reliable guy in term of planning. We change the schedule time to time and he cooperate well as well. He ensure we enter the entrance before return to car to wait for us. All the places is really superb. Maybe can ignore the bloom by Tv pool place as it is not worth and really run down, please ignore if can. The journey was smooth and on time. Even its not sunflower blooming season, our driver did make effort to find any place if got. There is no season of course but effort counts here. Thank you so much to our driver to bring us safely and drop back to bangkok. Booked 2 car for 2D1N Khao Yai tour. 2655 driver who fetch 8 pax is ok, drive safely, the car even got speed reminder. However 9685 driver who fetch another 5 pax is impatient, drive dangerous, cut the line, on call, non stop reply message and watch youtube while driving. Overall is ok, tour is customizable and follow our itinerary although sometimes the driver took the wrong way. Not recommend to go Hobbit House, travel far and boring place. Booked 2 car for 2D1N Khao Yai tour. 2655 driver who fetch 8 pax is ok, drive safely, the car even got speed reminder. However 9685 driver who fetch another 5 pax is impatient, drive dangerous, cut the line, on call, non stop reply message and watch youtube while driving. Overall is ok, tour is customizable and follow our itinerary although sometimes the driver took the wrong way. Not recommend to go Hobbit House, travel far and boring place. Have a wonderful and good experience trip. My family enjoyed the trip. Driver Luke is good and experience driver. He took care of us and gave us suggestions on where to visit, to eat and many more. He is also a skillful and punctual driver. Hope to have him again to drive us round during our next trip to Bangkok. Have a wonderful and good experience trip. My family enjoyed the trip. Driver Luke is good and experience driver. He took care of us and gave us suggestions on where to visit, to eat and many more. He is also a skillful and punctual driver. Hope to have him again to drive us round during our next trip to Bangkok. The driver is really friendly, he help me a lot during my trip, he even gave me cold water and tissue because the weather was so hot. Because it’s a private tour so you can make your own plan. However, it’s hard to find somewhere to eat during the trip. The driver is really friendly, he help me a lot during my trip, he even gave me cold water and tissue because the weather was so hot. Because it’s a private tour so you can make your own plan. However, it’s hard to find somewhere to eat during the trip.